Well we got about 1/2 inch of April showers for May flowers last night and this morning so yay! Need more and doesn't look like we will get any for a while now but happy for what we got. I planted some Tulip bulbs last fall with some different colors and they all came up and bloomed. I was happy about that because my Daffodils that I planted a few years ago did not do so well. Only about 3/4 produced and flowered. 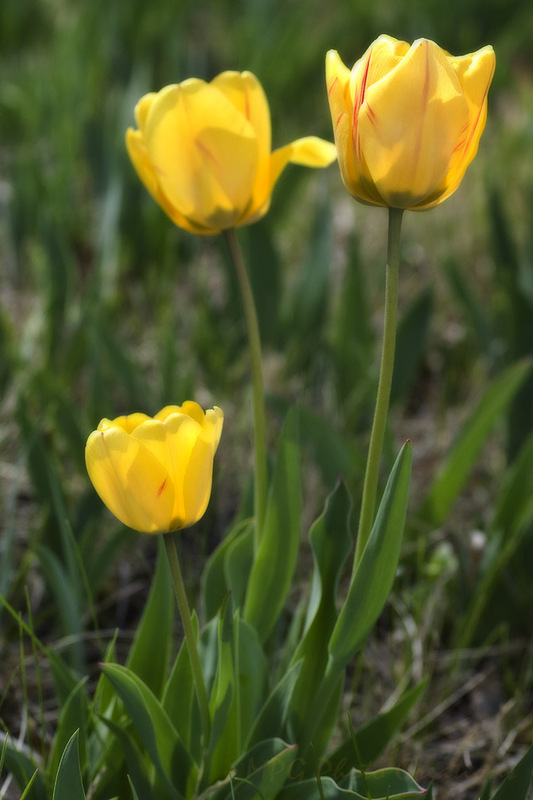 Anyway, this was a lovely Yellow Tulip Trio that came up. It was interesting to see how colors ended up grouped together even though I tried my best to separate them.